It's finally here and it's AMAZING! the whole concept ... AMAZING!!!!! Has a feature in this issue that you don't want to miss! So in honor of the official launch on Friday, I'm going to giveaway a copy of the premier issue! Now for those who love Where Women Create, you know that our premier issue sold out very quickly and will not be reprinted. If you want a copy of this issue of Where Women Cook you better act quickly. It's sure to sell out. What better way to get it than to win it! Heck, I'll even throw in the official tote bag from The Creative Connection! So what do you need to do to be entered? Just leave me a comment. For an additional entry, follow me ... Thats it! I'll close the comments on December 16th at Midnight (MST) and announce the winner the following day. the big celebration ends on Friday the 17th, so HURRY!!!!! gosh, i just have to enter. with koralee, serena, and so many other talented women, this issue is a must for sure! you and jo and rockin' and rollin'!!! Oh Paige, thanks for the chance, I would love to win, and I love all these women! Great contest idea. Thanks. I meandered my way through three blogs and ended up here. What a fun blog! Thank-you for the chance to win the magazine--I've been so eagerly awaiting it! Love WWC, and think this new publication is such a great idea! I stay away from cooking magazines cuz I really don't like to cook. But this magazine looks different and is getting so many raves that I think I have to have it! Anything that features Koralee is for me! She sent me here btw and I'm so glad she did! Thanks for the chance! I'm a new follower and can't wait to read all about you! I'm following your wonderful blog and so glad Koralee urged me to come over . . .
Just look at all the goodies here I have missed. Been a Kora lover, since I was a wee little gal. She sure has a way of brightening my day. Now, I have another. New follower here that's for sure. Even if I don't win, I'll be picking up my copy soon. Aren't giveaways so much fun. Announcing my blogname dyed yarn one tomorrow. Sounds like a dream job and from the look of your blog the magazine must be fabulous! Gotta get out there and see if I can score one before they are all gone! Love Koralee and am so happy for the whole WWC gang...you ladies rock!! I hadn't even heard of the "where women create" magazine until I popped over here from Koralee's blog. I like to do both things! Thank you for a chance to win. Im here from Koralee's blog too.This looks awesome,count me in please! Im a new follower of yours as well Paige. Hello Paige I have just followed the link form Koralee and have been so delighted to have found your beautiful space, you are such a very talented lady and your creations are so beautiful. This magazine is so hard to find in Australia and I thank you for giving us the opportunity to enter. Koralee sent me on over and I am dying to get my hands on a copy of this!! Wonderful giveaway. Hope I win. This will be an amazing publication and I can't wait to read it. Wining one would be the best of both worlds. What a wonderful blog you have. I'm so glad to have discovered it via Facebook! And thanks for the opportunity to tell you so! I LOVE the whole Where Women Create/Cook idea. So great to feature these amazing women and their wonderful talents. I'm a BIG fan & I would love to win a copy of the book! What a wonderful giveaway!!! Thanks Paige for your generosity!!! Well I am a foodie and I've already begged my local bookstore to carry this (which they have ;) and I love it! I would love to win a copy so I could pass it on to my BFF for her Christmas stocking from me. Love the magazine to bits! ~ SO nice to meet you...your blog is yep I'm gonna say it amazing! :) I just couldn't help myself. ~ SO glad I came over from Koralee's blog...I would LOVE to win a copy of "where women cook" I love "Where women create" SO pretty sure I would LOVE this one too! ~ And I will follow :) Thanks! I would love a chance to win, thank you. Wishing you all the best. What a great giveaway! Thanks! I love Where Women Create and I am sure this is going to be a fantastic magazine from a completely different perspective. Me too, I popped over from sweet lady Bluebird. Koralee has a magical touch on pictures and words, the Where Women Cook magazine must be a great mag, no doubt! I am so looking forward to this publication. Looks beautiful. Thanks! I can't wait to see this magazine...and what better way than to win it! I will leave a separate comment as a follower. Happy Holidays! I have become a follower of your blog, 'can't wait to explore! Hi! I just came over from Koralee's blog and am excited for the chance to win. What fun! 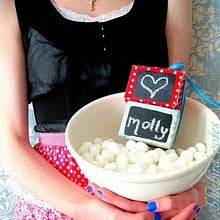 I just added your blog on my Google Reader! I would love the chance to win this publication...I'm a newbie to this whole "Where Women" universe! Looks like a fun blog and I will definitely follow. I followed the blue bird's trail (Koralee) to your beautiful blog, and I would love to be the lucky one! Thanks for the opportunity! I would LOVE to win a copy of this wonderful new magazine! Maybe I'll get lucky this time!!! AMAZING! Koralee said to stop by and check out your site and I'm glad I did!! Thanks for the giveaway Paige. I would love to have the premier issue! So many talented ladies! I would love to win a copy! The magazine looks amazing. OH HOW EXCITING!!!! What a thoughtful gift you are making available to someone at this time!! The magazine sounds divine for anyone that LOVES LOVES LOVES food! Hi! Oh what fun it is to be part of blogland! I'm so excited for Koralee! What a special lady she is! Thank you for hosting a give-away! I have the autumn issue of WW Create ~ what a fountain of inspiration it is! I'm looking forward to seeing this new magazine! Thank you so much! Wow!!! I'd soooo love to win a copy! One day... maybe, just maybe, I'll get to be in a beautiful magazine like this! Just stoping by from Blue Birds Notes....New follower! Pick me! I love to cook, Many blessings, Deborah Stop by www.artnsoulbydeborah.com sometime and say Hi! Please Please Please Santa, I've been good. If you want me to cook, I need this book! Oh boy would I love to win! Winning this would make my holiday! So many amazing women! Inspiring. Would love, love, love to win this!! Great concept and way to share ideas for those who love to cook in their kitchens. Oh how super!! !I would LOVE a copy! Thanks so much for offering. I would love to win this. It is out of stock everywhere around me that I have looked. wow!! very cool! love this!! Please enter me! I would love to win a copy of Where Women Cook!!! I don't normally enter contests, but I flew this past weekend and was so disappointed they didn't sell it at any of the airport magazine stores! I forgot to enter my second entry!!! I'm a loyal follower and I love your giveaways!!! I can't wait to get my hands on this! All of you at WWCreate and now WWCook are amazing! Keep up the great and inspiring work! And I can't wait to see what you've got in store for 2011!!! All I can say is yum yum yum yum yum yum! I love all the Stampington publications and would love to win!!! I've been talking about this issue forever to everyone. Would love to finally have it! Thanks! I want to have this issue! If this is as good as WWC, I will be huge by next year! I'm getting a copy one way or any other! Would love to win a copy of Where Women Cook! Just found your blog and enjoyed looking around. How Fantastic! It looks Fabulous!Can't wait to have the issue in my hands! Love the subtitle "The Heart and Soul of Cooking!" I'd love to see more of Ree's kitchen - thanks!! My daughter really wants a copy! I would like to win it for her. love, love, love it !!!! good luck everyone!!!! I would LOVE to win this, It looks A-M-A-Z-I-N-G!! Great giveaway! The magazine sounds like a great idea! Love Ree's picture on the cover. Hello.. every woman is an inspiration here.. Im thankful that we have such examples to be inspired by. Awesome giveaway!...only about 101 comments before mine...I hope I am still in the running! 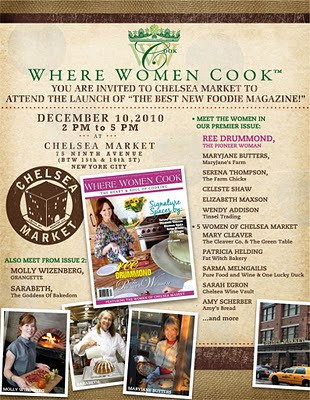 I would love to win "Where Women Cook". Then maybe I could get some ideas for my own kitchen! I love the energy and ideas that all of these women give. Truly beautiful. I am still waiting on my subscription to arrive to enjoy the magazine, but look forward to sitting down and enjoying. Looks like a wonderful new addition!! Good thing I found ya.. I must follow with glee now lol. Merry Christmas! Would love love to win a copy !! Looks wonderful ! Iam now following your blog !! Thanks for putting together such a wonderful giveaway! This looks like an amazing publication! Since receiving Ree's cookbook, I've become such a food fanatic. Always apprecaite great photography, too!! Would love a chance to win a copy of this magazine! Thanks for the opportunity! I would absolutely love, love, love to win a copy! I have collected all of the Where Women Create, and now I can't wait to enjoy this new Where Women Cook. I wanna win! Love WWC and look forward to reading WW Cook! It took me forever to follow the links...! I want to win! My kitchen could use some innovation! Thanks for the chance to win. What a great prize for the holiday season!! Ooh! Pick me, pick me! It's so pretty! Oh I am a foodie! This publication looks like just the right sort of balance I need with creating, cooking, and inspiration! Oh! What I wouldn't do to win!!! How exciting for both sides - the cooks and the eaters!! :D I wish you great success and can't wait to see what this is all about! And from one of the 'creators" thank you, thank you for giving us a voice! I just love what you do! So inspiring! Thank you! I received the Facebook notification about voting for the Spring magazine cover. I had already done that so please enter me again! Thanx so much!! Love it! A fresh new magazine, finally!!!! Just what I have been looking for. This magazine looks fantastic! I love the cover. TY for an awesome blog! I am so looking forward to reading this magazine! I would really love to win a copy, great women in there. 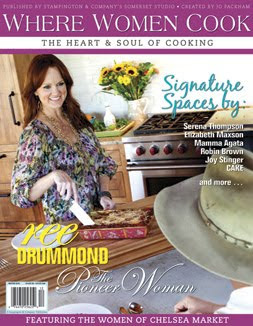 I love to cook so much I Shared the link to vote for the spring cover...yippie another Chance!!! Thank you for this AMAZING offer! I follow "where women create" on facebook and was directed to your AMAZING blog. I subscribe to, and am a HUGE FAN of "where women create" and am really, really, really looking for to the debut of "where women cook" Thanks again! It does look AMAZING lol and I am a foodie and a cook! Can't wait to see the premier issue! WOW Thanks for the giveaway!!! I love Where Women Create and would love Where Women Cook! !